BOSTON, Mass. /Massachusetts Newswire/ — On Monday, at the State House, Governor Charlie Baker signed landmark legislation into law to address the deadly opioid and heroin epidemic plaguing the Commonwealth and was joined by a robust group including Health and Human Services Secretary Marylou Sudders, Senate President Stanley Rosenberg, House Speaker Robert DeLeo, Attorney General Maura Healey, Auditor Suzanne Bump, members of the legislature, law enforcement, health care providers, community leaders, individuals in recovery and others. 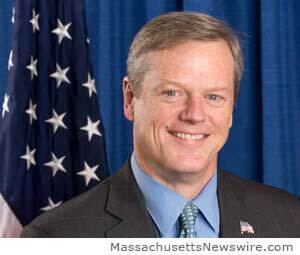 Governor Charlie Baker The bill, titled An Act relative to substance use, treatment, education and prevention, passed with unanimous votes in both legislative chambers and includes numerous recommendations from the Governor’s opioid working group, including prevention education for students and doctors, and the first law in the nation to establish a seven day limit on first-time opioid prescriptions. This bill includes multiple provisions from Governor Baker’s legislation, most notably the first law in the nation to limit an opioid prescription to a 7-day supply for a first time adult prescriptions and a 7-day limit on every opiate prescription for minors, with certain exceptions. Other provisions from the Governor’s recommendations include a requirement that information on opiate-use and misuse be disseminated at annual head injury safety programs for high school athletes, requirements for doctors to check the Prescription Monitoring Program (PMP) database before writing a prescription for a Schedule 2 or Schedule 3 narcotic and continuing education requirements for prescribers—ranging from training on effective pain management to the risks of abuse and addiction associated with opioid medications. Several measures were passed to empower individuals and update current prevention efforts. Patients will receive access to non-opiate directive forms and the option of partially filling opioid prescriptions in consultation with doctors and pharmacists. Schools must annually conduct verbal substance misuse screenings in two grade levels and collaborate with the Departments of Elementary and Second Education (DESE) and Public Health (DPH) around effective addiction education policies. To reduce the prevalence of unused medication, manufacturers of controlled substances in Massachusetts must participate in either a drug stewardship program or an alternative plan as determined by DPH. This bill strengthens access to insurers and the bed-finder tool website; requiring patients receive information on FDA-approved medication-assisted therapies after being discharged from a substance use treatment program; and ensuring civil-liability protection for individuals who administer Narcan. Today’s bill signing symbolizes the latest collaborative effort across state government to combat the opioid epidemic claiming nearly 4 lives per day in the Commonwealth and marks the fifth piece of legislation signed into law by Governor Baker, including the Fiscal Year 2016 budget and supplemental budget, to help fight this public health epidemic and provide critical funding for prevention, treatment and education. In late January, Governor Baker signed into law a bill to prohibit the civil commitment of women facing substance use disorders at MCI-Framingham and providing addiction treatment services at Shattuck and Taunton State Hospitals. This reform was a recommendation of the Governor’s Opioid Working Group and will end the practice of sending women committed for treatment for a substance use disorder under section 35 of chapter 123 of the General Laws to MCI-Framingham. For the past 25 years, women committed under section 35 have been sent to this correctional institution instead of a detox center—preventing proper treatment options for women. Under this law, women can only be committed to a facility approved by the Department of Public Health (DPH) or the Department of Mental Health (DMH). Governor Baker also recently signed a fentanyl trafficking bill, authored by Attorney General Maura Healey, making trafficking in more than 10 grams of fentanyl a crime, punishable by up to 20 years in prison. In addition to legislative action, the Baker-Polito Administration has implemented numerous initiatives from Governor Baker’s action plan announced in June, completing 26 initiatives and currently implementing another 23. The administration has allocated more than $250 million toward the opioid epidemic for substance use disorders, education, prevention and treatment, increased bulk purchasing of Narcan in municipalities by offering Narcan at a discount to our first responders and changed reporting requirements for the Prescription Monitoring Program from 7 days to 24 hours. More than two hundred substance use treatment beds have been opened throughout the Commonwealth. Since taking office, the Baker-Polito Administration has added 28 dedicated section 35 beds at Lemuel Shattuck Hospital and 15 beds at Taunton State Hospital, with an additional 30 beds at Taunton expected in the summer of 2016. Last July, Governor Baker allotted $5.8 million in a supplemental budget to move women civilly committed for substance use problems to Taunton State Hospital. The Baker-Polito Administration has also launched two multi-media awareness campaigns and partnered with medical and dental schools to develop core competencies and require increased education on opioids for medical and dental students. The opioid epidemic continues to impact every community in Massachusetts. According to the most recent data, it is estimated that there were nearly 1,200 unintentional and undetermined opioid deaths in 2014. The estimated rate of 17.4 deaths per 100,000 residents for 2014 is the highest ever for unintentional opioid overdoses and represents a 228% increase from the rate of 5.3 deaths per 100,000 residents in 2000. And the trend isn’t slowing. Preliminary data estimations show, there were over 1,100 opioid deaths between January and September of 2015. Fighting this ongoing epidemic has been a priority of the Baker-Polito Administration since day one. In February 2015, Governor Baker appointed a working group to develop a plan to reduce opioid deaths in the Commonwealth. In June 2015, the Governor’s Opioid Working Group released 65 recommendations links to PDF file and a comprehensive Action Plan links to PDF file aimed at curbing the opioid epidemic. These short and long-term recommendations focus on Prevention, Intervention, Treatment and Recovery Support. Approximately ninety percent of the initiatives in the Governor’s action plan are complete or underway.